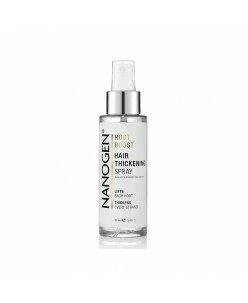 Nanogen Root Boost Hair Thickening Spray 100ml. KEY FEATURESContains keratin for an instant thickening effectFormulated with niacinamide, which helps to soothe and nourish the scalpContains green tea, which helps protect hair against free radical damageLight, non-greasy formulaHeat activated proteins protect against damage from blow-dryingCan be applied on wet or dry hair..
Roverhair ITS Sea Salt Water Spray (150 ml.) 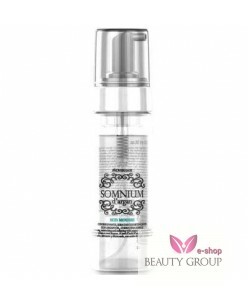 ..
Roverhair SOMNIUM Muosse 150 ml. d'argan Somnium Arganolie Eco Mousse For body en volume to fine, limp and fly away hair Argan Oil styling mousse ideal for fine hair with keratin, protein, honey and omega-6 for body, volume and fullness for fine hair. Shake well and spray 1-2 times on the hands, rub uniform and apply to damp hair, Apply on the ro..
Roverhair 5 Deeping Mold it eco hair spray 300 ml. No gas medium hold hairspray with natural sugar beet alcohol; dries rapildly, versatile hairspray for modelling your hairstyle without a strong hold. 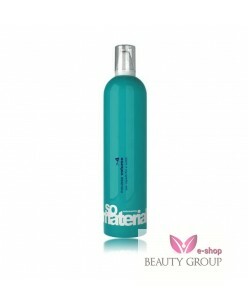 HOW TO USE: spray onto dry hair from about 20 cm; for a firmer hold, reduce spraying distance. ..
Roverhair 6 lacca spray ultra strong 400 ml. No gas strong hold hairspray with natural sugar beet alcohol, dries rapidly,versatile hairspray for defining and modelling your hairstyle with a strong hold. 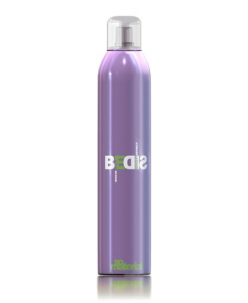 HOW TO USE: spray onto dry hair from about 20 cm; for a firmer hold, reduce spraying distance. ..
Roverhair Star Shine Spray 250ml. 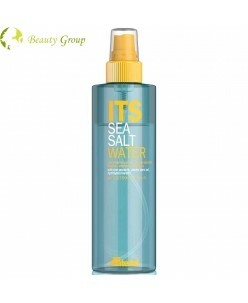 Ideal for dry, dull, chemical treated hair, split puten and stressed hair. With secret. Fixes not; makes stressed hair vital and let it shine. Specifically for dull and stressed hair. ..
Roverhair wipped controller mousse 300ml. A WIPPED CONTROLLER MOUSSE a uniqui mousse; conditioning, moisturizing with excellent shape and hold control; a sweet sensation that leaves hair soft, shiny and full of vitality. Usage: apply on damp and clean hair shaping with hands or a hair dryer. ..
Roverhair 4 mousse volume 250 ml. Voluminous styling mousse for fine hair, this hair styling mousse especially for fine, lifeless, limp and thin hair, strong sustainability body and volume mousse. ..